Supreme Court has given expedition to hear on triple talaq from 11 May onward. The Supreme Court has finally after having all the pleas and request from commoners and government has set a released a date for the hearing of petitions. Three panel of judges Triple talaq Supreme Court will listen to the pleas of Muslim women everyday from May 11-19. 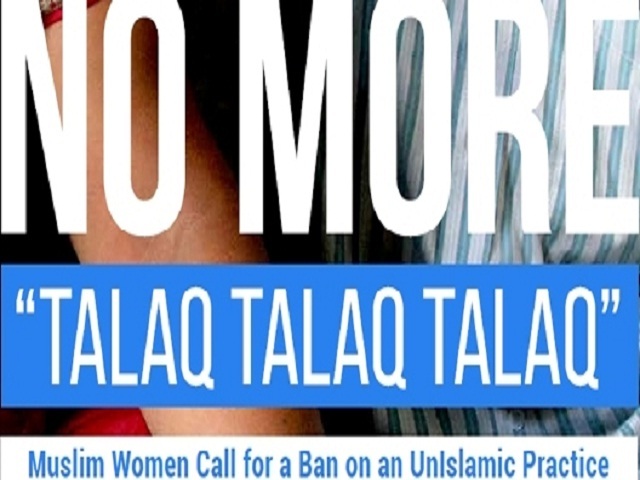 Triple talaq is a form of giving divorce practices by Muslim men which gives them the authority to men to divorce their wives verbally, be it through social media or through phone. This triple talaq has destroyed life of many women. When they raised this issue in the All India Muslim Personal Board, the board declined hearing any plea of women saying triple talaq to be a part of Quran and changing it in any form will be a disgrace to their god. The news was highlighted after a three month-old pregnant women, Shagufta, wrote a letter to Prime Minister saying that her husband Shamshad, divorced verbally with a fear that she might give birth to girl child again. Shagufta already have two daughter and her husband and in-laws wanted her to abort the next child fearing that she would give birth to child again. This letter was written to Prime Minister Narendra Modi and a copy of it was send to Uttar Pradesh Chief Minister Yogi Adityanath as well. The CJI of India as given its decision to listen the pleas of women about triple talaq. The court has said that the matter has to be completed within this summer otherwise it will be again the same old issue hanging forever with no justice given to the Muslim women.